Very often video games and even the entire video games industry are snubbed off as non-serious business or child’s play. Well, if you are one of the people who share that opinion, this article will be an eye-opener for you. Not only is the video games industry a very serious business, it’s a massive concern. Want to know more? Call of Duty: Black Ops was released in November 2010. Fans in many countries queued round the block to get their hands on a coveted early copy. A lucky few had won tickets to invitation-only release parties that were broadcast live to viewers across the internet. The event had been advertised on billboards, buses and television for weeks. Chrysler even produced a commemorative version of its Jeep. The publishers, Activision, notched up worldwide sales of 650 million dollars in merely the first five days of the game’s release. That made it the most successful launch of an entertainment product ever, and people still kept buying. A month later, the total stood at over 1 billion dollars. Meanwhile, Harry Potter and the Deathly Hallows Part 2, the current record-holder for the fastest-selling film at the box office in a similar time period, clocked up just 169 million dollars of ticket sales on its first weekend. Moreover, the next instalment of the Call of Duty series (Modern Warfare 3), released in November 2011, set a record of its own, grossing 750 million dollars in the first five days of its release. During the past two decades, the video games business has evolved from a cottage industry to a fully grown branch of the entertainment industry. According to PricewaterhouseCoopers (PwC), the global video game market was worth around 56 billion dollars in 2010. PwC predicts that video games will be the fastest-growing form of media over the next few years, with sales rising to 82 billion dollars by 2015. For most people, the video game experience starts at the store and ends on the couch. Few realise that creating a game can be as complex as making a Hollywood blockbuster. Months of planning and preparation, script-writing, casting, character development and massive computing power go into the making of games. In this article, we go through the various phases of the development of a world-class game. Though the process and phases vary from one category of games to another (AAA, casual, mobile, etcetera. ), the following steps apply to almost all categories, with minor differences. Every game begins with a concept. The pre-production or design phase is the planning phase of the project, focussing on idea and concept development. The concept defines what the game will be like and what genre it will be based on. Often concepts come from game designers themselves or are pitched by outsiders. Lately, they are increasingly inspired from other forms of entertainment like popular movies. Other common sources are sequels or spin-offs of existing games and simulations of real-world events. The goal of concept development is to produce cohesive and coherent documentation that describes all the tasks, schedules and estimates for the development team. The suite of documents produced in this phase is called the production plan. The pre-production stage usually also includes the development of a prototype. A great deal of prototyping may take place during pre-production before the design document is complete and may, in fact, help determine what features the design specifies. Prototyping may also take place during active development to test new ideas as the game emerges. a. Publisher financed As with book publishers or publishers of DVD movies, a game publisher is a company that publishes video games that they have either developed internally or by an independent developer. They usually finance the development, sometimes by paying a video game developer (external development) and sometimes by paying an internal staff of developers called a ‘studio’. Established game publishers also distribute the games they publish, while some smaller publishers hire distribution companies instead (or larger video game publishers) to distribute their games. b. Indie development Independent (indie) games are developed without the financial support of a video game publisher. While large enterprises can also create independent games, they are usually designed by an individual or a small team of as little as ten people, depending on the complexity of the project. These games may take years to be built from the ground up or can be completed in a matter of days or even hours depending on the complexity, participants, and design goal. The indie movement is gaining more and more popularity these days due to the rise of mobile gaming. Most mobile games are relatively small and require smaller teams and less time to develop which is more manageable for indie developers. Once a game is developed, the developers can choose to sell their games to a publisher, share the revenue with the publisher or opt to publish the game themselves. Other forms of financing like crowd funding are also gaining popularity with smaller developers, especially with the popularity of digital/online distribution. Once the concept of a game has been agreed upon and the financing is secured, the actual development of the game begins. This involves creating the artwork (characters, environments, GUI designs etcetera) and writing the code that brings all the elements together. Depending on the intricacy of the game, the development team can range from two to two hundred people. During this phase the design, programming, level design, art and audio production is finalised. When a playable version of the game has been finalised, the testing department starts its work. The role of testers is essentially to play the game and find any bugs/errors. Once the game is complete, it enters the post-production phase. This phase includes marketing, distribution and maintenance. a. Marketing The game industry has similar marketing methods to those of music and film industries. Nowadays the marketing budget for a major title is many times greater than its development budgets. According to the Entertainment Software Association, a blockbuster game like Grand Theft Auto: Vice City can cost between three to five million dollars to develop, with an additional 10 million dollars spent on promotion and marketing. With so much money at stake, publishers go to great lengths to hype their games. This begins early, often while the game is still being designed. Demonstration versions, or “demos,” are sometimes made available for download from the internet to offer a sneak peak. Theatrical trailers like those created for Hollywood movies are released as well. The publisher’s marketing team targets the game for a specific market and then advertises it. The team advises the developer on target demographics and market trends, as well as suggesting specific features. The game is then advertised and its high concept is incorporated into the promotional material, including (but not limited to) magazine ads, online advertising, TV spots, outdoor billboards and posters. One of the most important marketing platform for games are trade shows. The major annual trade shows are, for example, Electronic Entertainment Expo (E3) or Penny Arcade Expo (PAX). E3, the largest show in North America is hosted primarily for marketing and business deals. New games and platforms are announced at this forum every year and receive broad press coverage. b. Distribution As with other aspects of game development, the distribution of games has also evolved over time. Unlike the 70s and 80s when games were distributed on 5.25 inches floppy disks, the storage of media games shifted to CDs in the 90s and then later to DVDs and Blu-Rays by the 2000s. More recently game distribution has shifted to online distribution and streaming. This is quickly becoming the most preferred distribution method since it significantly reduces the cost of distributing the game. It also facilitates the publisher/developer in updating and performing maintenance for already released games. Online distribution is what we know today as Steam, Xbox Live Arcade and the iTunes App Store. Whereas, streaming may refer to services like Gaikai and similar background-downloading-as-you-play technologies. However, the ultimate video game distribution media in the 2020s will be a service similar to OnLive, which renders the video game content on remote servers and is instantly available on any device that can connect to the internet. No data is stored locally, which makes it irrelevant on which type of device you’re playing – with the exception of the input method of course. c. Maintenance This phase varies according to the category of the game, but usually comprises fixing bugs in the shipped game and adding support for previously untested hardware configurations. Games developed for video game consoles have had almost no maintenance period in the past.. Now, however, developers can maintain their software through downloadable patches. Patches also fix previously unknown bugs and issues of PC games. In the case of a massively multiplayer online game (MMOG), such as a MMORPG or MMORTS, the shipment of the game is the starting phase of maintenance. Such online games are in continuous maintenance as the game world is continuously changed and iterated and new features are added. Video game piracy has been around since the dawn of home computing, from the days of bootleg cassettes to the rise of cloud computing, and it’s showing no signs of abating. Piracy has a big impact on the profitability of video games and more so on smaller developers and publishers for whom it is difficult to counter it. Over the years, studios and industry watchdogs have tried tackling the problem through various technological, business and cultural strategies. One of the more commonly used methods in current games is Digital Rights Management (DRM) and online activation. DRM is a class of access control technologies that are used by hardware manufacturers, publishers, copyright holders and individuals, with the intent to limit the use of digital content and devices after sale. DRM employs different methods to counter illegal copying of software, like limited install activations and persistent online authentication among others. DRM based on persistent online authentication has been used by several major publishers including Electronic Arts, Ubisoft and Atari. Since it requires an always functional internet connection, this means that any unsaved progress is lost if the player’s connection falters, and has at times sparked a mass backlash from players. Valve’s Steam service offers studios a less intrusive alternative to managing the problem in the PC market. Sega and Sports Interactive took advantage of this with Football Manager 2012, demanding that gamers activate their copies through the platform. Offline play is then permitted, plus there are the added benefits of cloud-saving support and auto updates. Another viable strategy that studios are adopting is alternate business models. Some mobile developers choose to go down the free-to-download route and attempt to raise profit through advertisements. Other developers, particularly MMO firms like Blizzard Entertainment, go for the subscription model and in-game microtransactions. The video games industry has thus become a full-fledged branch of the entertainment industry that shows absolutely no signs of slowing down. A true fact indeed that video games businesses are evolving with each passing day. Surprised to read Here that Call of Duty has earned insurmountable profit since the release of this video game. A few illustrations are Advanced Wars I and II, Civilization V and Crusader Kings II. Aside from this,https://unblockedgamesboo.weebly.com it is the best gaming gadget since it is anything but difficult to convey with light weight of the 3.6 gram alongside agreeable outline for me to use as it has hold also. In an examination of 35 distinct investigations,unblocked games for school which took a gander at brutality in video games and the conduct of the individuals who played, scientists found a few fascinating connections. The nature of video diversion designs will likewise enhance as more great realistic processors and amusement motors turn out and will permit 100% authenticity in gaming background. I found this blog after a long time which is really helpful to let understand different approaches. I am going to adopt these new point to my career and thankful for this help.look at this. Its giving the more and effective details about business video games.Thanks a lot for sharing this post. website. Video generator vbucks are very popular no matter what age that you are. Online video gaming sites are also becoming more in demand as the demand grows for gaming online. Mindcraft games are fun to play and engage the mind. You can find fun and good games here. Some examples of this would be 3D Swat, 2 D Knockout and 1942: Battles in the Sky. These games are just a small example of what is available on this particular site. With 36 categories available, there is something for everyone. Whenever you look for online gambling sites many people look for promotions or specials before anything else. However, one of the most important factors you should always take into consideration is the software provider. When you see a casino, slots site or scratch card site the "powered by" is very important because it will give you an idea of the types and quality of games that are available to you. All the free money you want will not help if you generator vbucksnot enjoy playing the games. This is where a software provider comes into play and among the best is Neo Games. Hide at whatever point you need a weapon amid diversion play. It's significantly simpler to get pwned on the grounds that they neglected to take sufficient spread before reloading. You don't need this to be you! Video games are very popular no matter what age that you are. 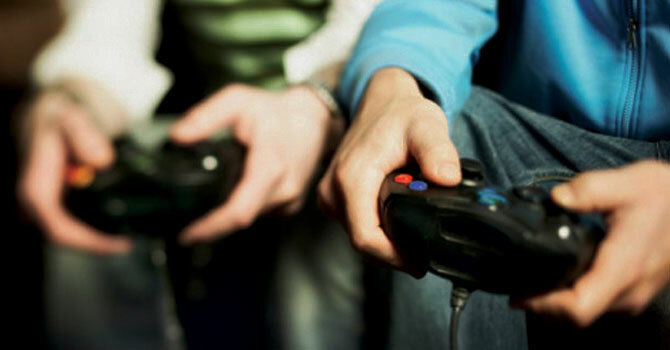 Online video gaming sites are also becoming more in demand as the demand grows for gaming online. Mindcraft games are fun to play and engage the mind. You can find fun and good games here. Some examples of this would be 3D Swat, 2 D Knockout and 1942: Battles in the Sky. These my link are just a small example of what is available on this particular site. With 36 categories available, there is something for everyone. In case you're playing a first individual shooter,discover here or something like that, you will be excited with the sound nature of having a commotion retraction choice. Innovations have always been a rife part of most of the new types of activity conceived by mankind and unblocked games hence the facet of invention is also a part prevailing in the world of online gaming.